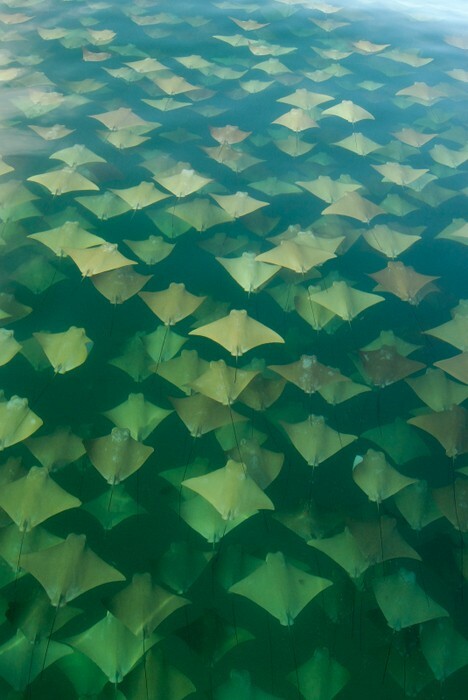 Golden Ray migration off the coast of Mexico, by Sandra Critelli. Potro, Arenal, Costa Rica, originally uploaded by jhoolko. A throwback from my trip to Costa Rica in spring of 2008. 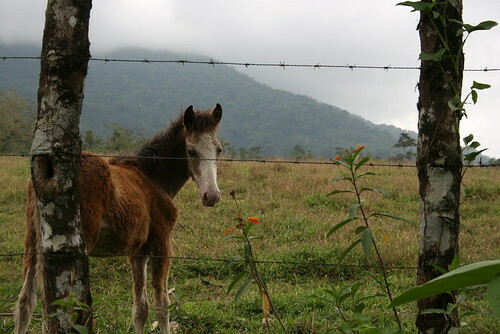 The mountain climbing up into the clouds behind the little baby horse is actually Volcán Arenal, or Arenal Volcano, which was up until recently one of the world’s most active volcanoes. It’s in a “resting phase” now, but still manages to throw out enough ash, smoke, and lava to put on a pretty good show for visitors….when it’s not covered in clouds. Bugs at the Blue Eye, originally uploaded by jhoko. When we got to the Blue Eye (Syri i kaltër in Albanian, though I have to admit that I am not 100% sure how to pronounce that), there were all these AMAZING bugs flying around, everything was green and lush and the water flowing out of the Eye was the most spectacular shade of blue I have ever seen in nature. I wasn’t a huge fan of Avatar, but I had to admit that I felt like I was exploring Pandora while we were there. And I loved it! 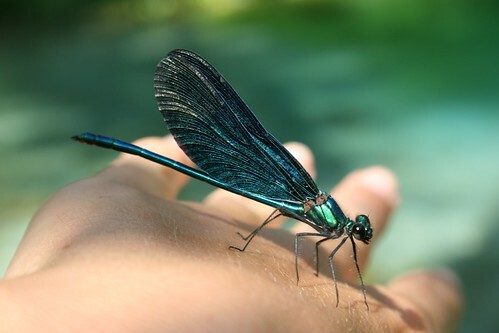 I will add more photos of this incredible spot later and go into much greater detail explaining what it is and why it is so wonderful, but for now here is a photo of one of the adorable bugs that live there, some kind of dragonfly-butterfly guy. I was sitting on some tree roots that were hanging over the impossibly blue water and I honestly just stuck out my hand, dreaming of a Pocahontas-esque, “Colors of the Wind” moment becoming one with nature when it ACTUALLY LANDED ON MY HAND!!! Dream. Come. True. Bees!, originally uploaded by jhoko. All along the highways, we passed tons and tons of these little blue, green, and yellow boxes with rocks holding down their lids. 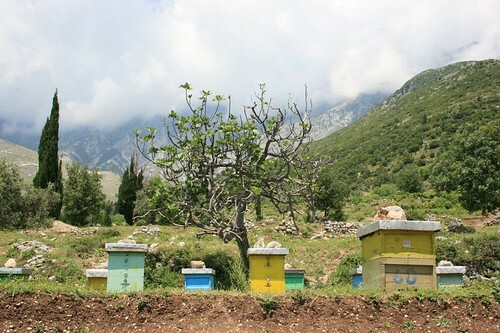 I had no idea what they were until we started passing dozens of little roadside tents, manned by one person selling jars and jars of fresh honey. Bee houses!!! Sometimes they would have a few other beeswax products or maybe some dried lavender, but it was the honey that got us to pull over and pull out the cash. We got a little jar of cloudy fresh honey in a short glass jar. Miraculously that honey made it all the way back to Spain with us, where it was promptly forgotten in a gross hotel room in Madrid. But we ate a bit of it almost every day during the trip in Albania and it was delicious. Only the fresh fig jam at our hotel in Gjirokastra could beat it!. Ok, I have a soft spot for stupid things involving animals, like most good-hearted people on this earth, so this commercial for Mixta, the lemon-and-beer combo (aka shandy aka clara) from the ubiquitous Mahou brand cerveza made me giggle out loud while I was watching Callejeros Viajeros all by myself. I kinda hate Mahou because it’s just as awful as the other watery yellow Spanish beers (sorry Spain), but sweeter. Gross. But DOLPHIN!!!! *note* if you are not the kind of person who spends lotttsss of time watching random cat videos on youtube, don’t waste your time on this.